Data is from an April 2016 Markerly study as cited by Digiday. Over 1 million influencers worldwide on Instagram were analyzed during November 2015-April 2016. 20 million posts were tracked, generating 27.3 billion "likes" and 733 million comments. 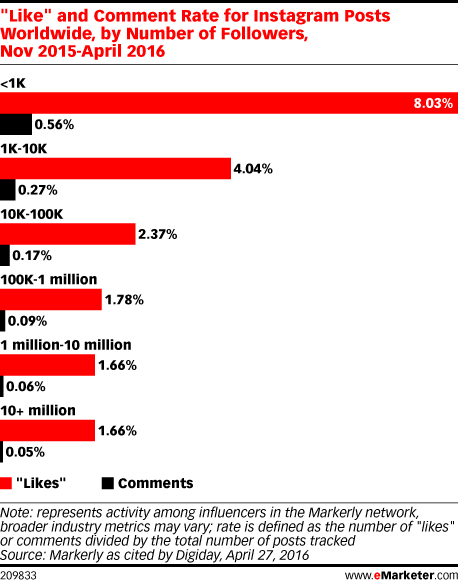 On average, 20 posts from each influencer were analyzed. Markerly is an influencer management company.